Tom Waits Lot of 6 Cds Asylum Era-Closing Time, Nighthawks,Small Change,More! 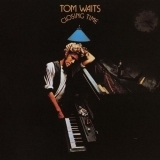 Closing Time is ranked 3rd best out of 28 albums by Tom Waits on BestEverAlbums.com. The best album by Tom Waits is Rain Dogs which is ranked number 109 in the list of all-time albums with a total rank score of 23,310. Members who like this album also like: The Rise And Fall Of Ziggy Stardust And The Spiders From Mars by David Bowie, The Beatles (The White Album) by The Beatles and Abbey Road by The Beatles. Related links: top tracks by Tom Waitstop tracks of the 1970s, top tracks of 1973. Showing latest 5 ratings for this album. | Show all 413 ratings for this album. Incredibly consistent. If it weren't for Rain Dogs, this would be my favourite from Tom. A most unusual debut album for Waits- hardly indicative of his material to come, though perhaps topically relevant. Pretty much in every subsequent album, Waits sounds as if he's getting drunk at a bar. Here, he's already been there and done that- the album's title "closing time" couldn't be more accurate. Rock fans, shy away, this is music for lovers of vintage wine and scotch, soppy and folky like Seals and Crofts, Jim Croce, or even Dan Fogelberg. It's probably a must-hear on an actual vinyl. On the whole, I'm not sure this album has much of what I love about Tom Waits in it- the beatnik poet and drunken romantic, but it nevertheless captures truly well those late hours when nobody's around with cinematic accuracy. Even "Ice Cream Man" could be said to be a number that the house band plays "as a joke" after most people have left. If I had to describe it in one word: "creaky"
It's like you walk into a bar and a guys playing the piano and singing. That's what this album is like, the opening 3 tracks are brilliant and you can't wait for more. Martha & Rosie are also strong as is Lonely & Grapefruit Moon. A late night listen with a glass of wine and Relax. Tom Waits' debut album is a strange album. It's clear that Tom hasn't found his musical identity yet, but it's a nice combination of folk and jazz. Opener, 'ol 55, is one of Waits' best songs. The jewel in this album's crown is without doubt, the stunning, Martha, it's wonderful. Other good songs are old shoes, lonely, and, the sweet, grapefruit moon. This album has absolutely nothing to do with what Waits would do in the eighties and on, but it has hints of his barfly image of the seventies. A good start, just not yet fully formed. My favourite Tom Waits album. Most of his other albums took me a while to get into but from the first listen this was amazing. I like just about everything Tom Waits has ever recorded, but this is my favorite of all his albums. Which probably says a lot about me as a listener. While I love the weirdness, goofiness, and twistedness of later Waits albums, it is this collection of guilelessly sentimental, lonely love songs that reaches my heart the most. "Ol' 55" is my favorite here, though there's really not a weak track among the bunch.